Join botanical artist Georita Harriott to examine the work of the celebrated 19th Century Oxford botanist and artist, Arthur Harry Church. Church made beautiful cross-section drawings of flowers with a bold and stylish flair to use in his botany lectures. The course will include a walk to visit the newly replanted Systematic Beds in the Botanic Garden to observe and select flowers in preparation for drawing. 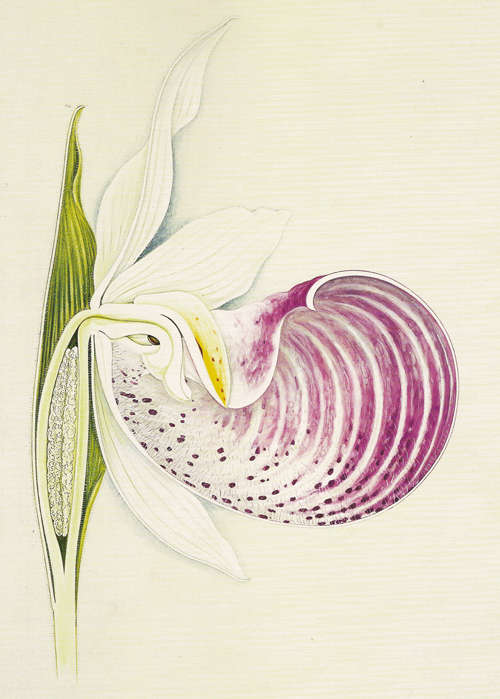 All the stages in producing an enlarged watercolour drawing of the anatomy of a flower will be demonstrated by the class tutor, including the particular drawing and painting techniques used by Arthur Harry Church. Beginners and all levels of experience are welcome. The course will be supplemented with an illustrated talk on Arthur Harry Church, his life and work.